With just a few days to go until the much-anticipated end of 2017, it’s time to look back on the year that was: both the bad times and the good. In the beauty space, there were setbacks, but there were also people and brands that pushed the industry forward in a major way. We saw inclusive campaigns that revolutionized the makeup world. 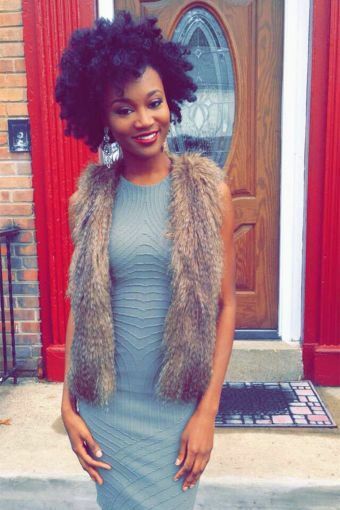 Natural hair was celebrated — both in shampoo ads and in the workplace. Redheads finally received the emojis they petitioned for. 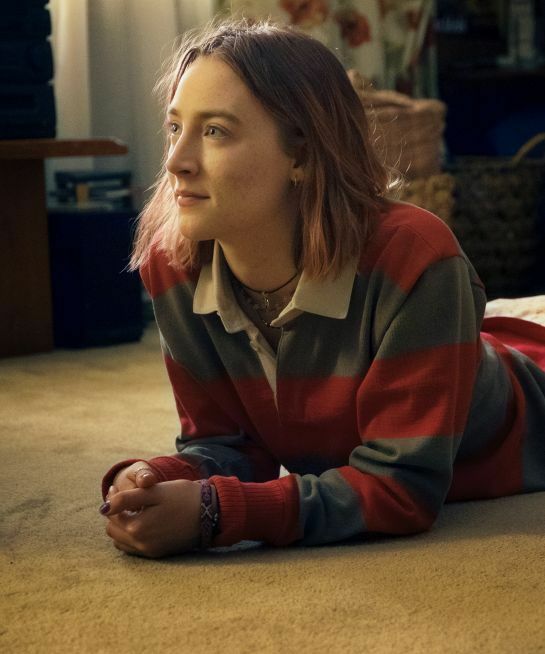 Hollywood got real about representing young women in film. Pageants celebrated more definitions of beauty. Gender lines were blurred… and that’s just the beginning. We’ve rounded up the worst, so it’s only right that we give you the best. Here’s to the most groundbreaking moments of the past year — and hope for an even brighter 2018. Creating a makeup line that accounts for every skin tone shouldn’t be so revolutionary in 2017, but it was. Premiering her eponymous line with 40 inclusive foundation shades (in 17 countries), Rihanna made her mission clear: Beauty Is For Everyone. “In every product I was like, ‘There needs to be something for a dark-skinned girl; there needs to be something for a really pale girl; there needs to be something in-between,’” she told us at the Fenty Beauty launch party. 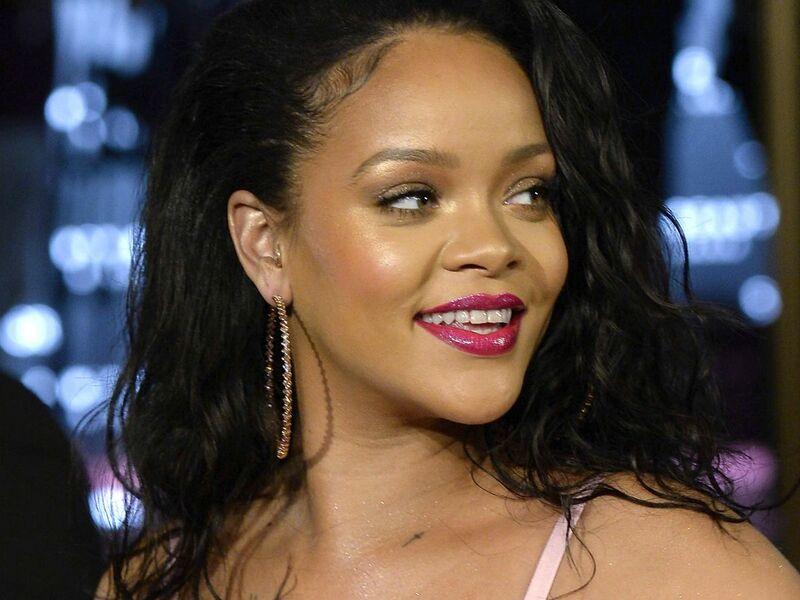 And for all the makeup brands that never made foundations for dark skin tones because they didn’t think they’d sell — well, Rihanna proved them all wrong (big mistake. big. HUGE!) by instantly selling out all the medium and dark shades. After 20 years of “easy, breezy” beauty, CoverGirl ushered in a new era with an updated slogan: “I Am What I Make Up.” The philosophy — brought to life by new ambassadors like actress Issa Rae, fitness guru Massy Arias, athlete Shelina Moreda, singer Katy Perry, chef Ayesha Curry, and model and entrepreneur Maye Musk — seeks to embrace individualism and celebrate strength. Arias put it best when she told Refinery29: “Finding the power within looks is different for different people, and ‘I Am What I Make Up’ says you can proudly, unapologetically tap into it and show it off to the world.” Hear all six of the barrier-breaking CoverGirl ambassadors explain their own interpretation of the new tagline, here. 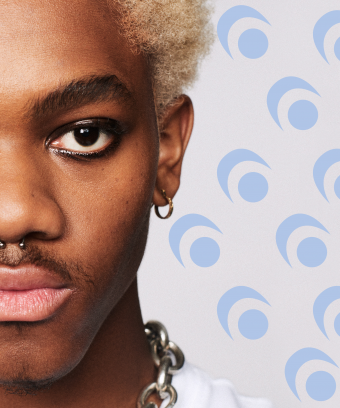 In a year that called for more inclusion across the board, Milk Makeup and Very Good Light joined forces to make sure everyone — regardless of gender identity — felt welcome and celebrated in the beauty space. The brand’s Blur The Lines campaign calls for brands to stop gendering makeup products and excluding people from their marketing campaigns. Watch the full video yourself to be reminded that the desire to look and feel beautiful is universal. PHOTO: COURTESY OF MILK MAKEUP. 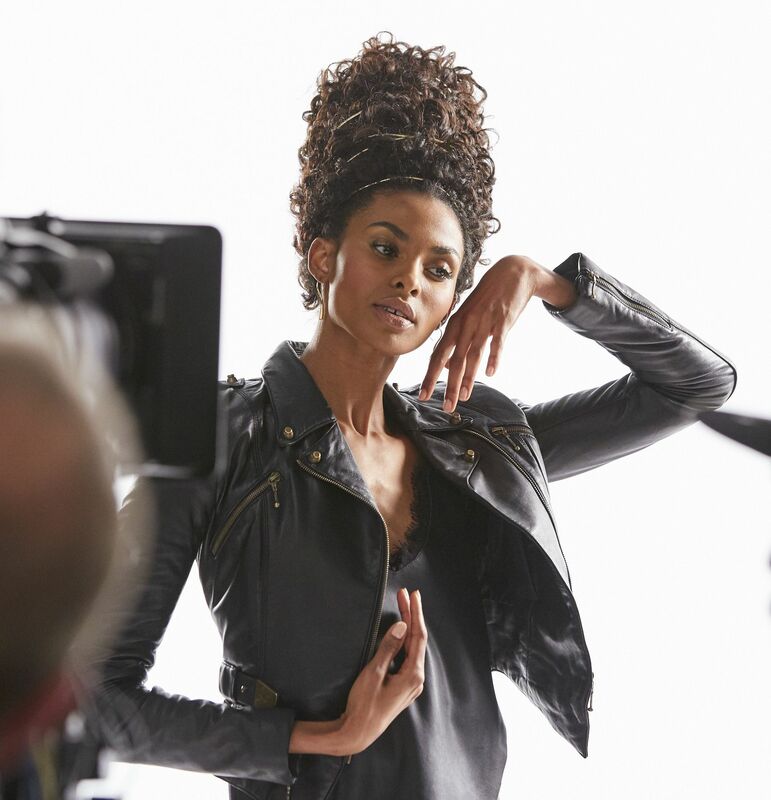 2017 was a big year for natural hair, with actresses, singers, and beauty queens showing off their glorious strands — and Pantene heard the cry loud and clear. In its Strong Hair Is Beautiful Hair campaign, created by a director behind Beyoncé’s “Lemonade,” the brand celebrated a range of textures while promoting its Gold Series haircare line, which was made specifically for natural hair. The brand’s celebrity stylist Chuck Amos explains: “Pantene is recognizing the importance of African-American women to feel confident wearing their hair in any style they choose and [it’s] celebrating the heritage, diversity and beauty of African American women.” More of that in 2018, please. This year, Glossier expanded its cult skin-care range below the neck with its new Body Hero line. The ads, which ran on giant billboards in Manhattan and across Instagram feeds globally, showcases the product on a range of strong, beautiful (and, of course, glowy) women — all 100% naked and 100% un-retouched. ICYMI, the most recent Time Magazine cover featured four famous faces — Oprah, Reese Witherspoon, Mindy Kaling, and Storm Reid — all wearing matching black turtlenecks and the exact same shade of fuchsia lipstick. We’re taking bets on this being thepower color of 2018. Model Hari Nef also landed a campaign with Gucci fragrances, while Gigi Gorgeous and Andreja Peji ć continued to use their platforms to fight for better representation in the beauty world. While the world of pageants has long been criticized for its restrictive and shallow representations of beauty, we’re starting to see some breakthroughs, like Halima Aden becoming the first woman to compete in Miss Minnesota USA while wearing a hijab and a burkini. And this year, Miss Minnesota USA continued to show its commitment to inclusivity by awarding the Spirit of Miss USA Award and Director’s Award to Mikayla Holmgren, a young woman, dancer, and advocate who has Down syndrome. 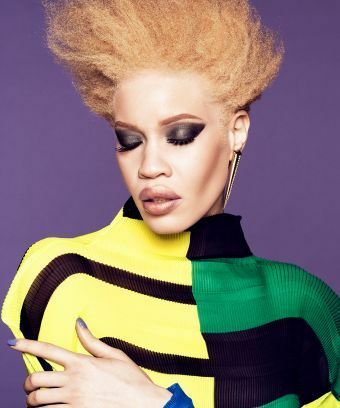 A month after Fenty Beauty launched foundations for people with albinism, Diandra Forrest became the first model with albinism to front a major beauty campaign. Her one goal: “To normalize what albinism was being depicted as,” she told Refinery29. “I wanted to do it for myself and young girls growing up.” Read the full interview with Forrest, the new face of Wet n Wild, here. 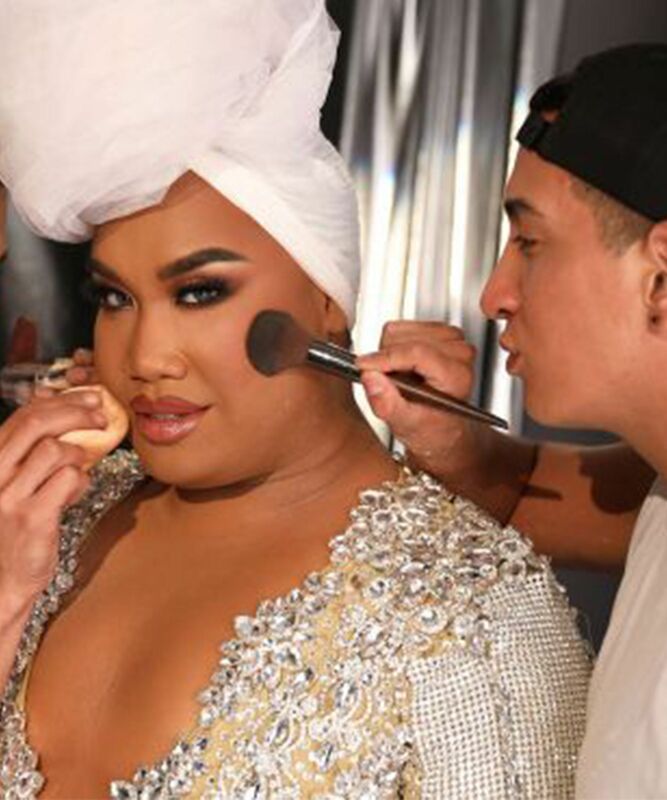 Patrick Starr has long been challenging the representation of boys in beauty, and this year he made it big with a huge collaboration with MAC Cosmetics — made even sweeter by the fact that the YouTuber worked at a MAC counter at the beginning of his career. Learn more about the products, and Starr’s inspiration for the line, here. This year, more and more beauty brands started to speak out about the causes they care about — and indie breakthrough brand Lipslut led the pack. The brand’s “F*ck Trump” lipstick line, which was created as an act of protest to the Trump presidency, donated the proceeds of its sales to organizations like Planned Parenthood, the ACLU, and the National Organization For Women. 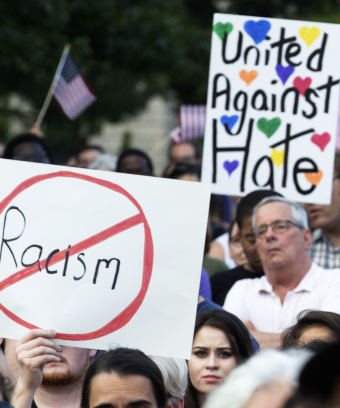 Then, following the events of Charlottesville, the brand turned its attention specifically to helping victims, and in the process raised $40K for medical funds, as well as the Albemarle-Charlottesville chapter of the NAACP and BLM Charlottesville. Let’s hope more beauty brands use their positions of influence for creating positive change. Red carpet moments are undoubtably important because it’s a place where celebrities are given a platform to represent fashion and beauty for the whole world to see. So, when celebrities wear their natural hair to an award show, it shows young women with natural hair that it’s beautiful, and should be celebrated — both in Hollywood and in the real world. Halle Berry’s fierce curls on the Oscars red carpet paid homage to her natural texture in the most beautiful way, and was one of many standout natural hair moments of 2017. If you don’t know, now you know — Gen Z is making waves in the way we think about, talk about, and consume beauty. From body positive advocates and runway models to up-and-coming household names in Hollywood, these Gen Zers aren’t waiting for change to happen — they’re creating it themselves. Why should retinol only be available to the 1 percent? 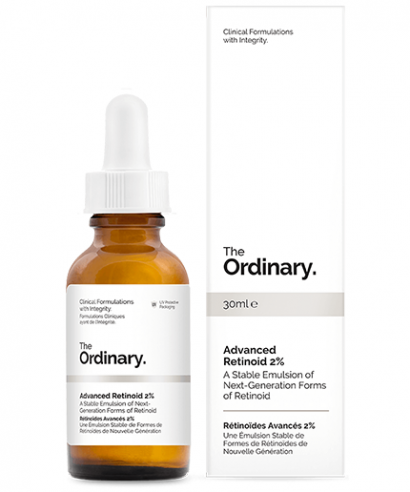 Deciem, the brand behind The Ordinary, brought the skin-care super ingredient to almost anyone who wants it — for less than $10. Like it or not, emojis are a part of the zeitgeist. We can have full conversations using only the little cartoon characters on our keyboards. But since the inception of emojis, there’s been blond, brown, black, gray, but no red hair on the little people in our iPhones. In 2017, Unicode (the brand that manufactures emojis) finally gave redheads the emojs they deserve. Here’s hoping better representations of curls is next. In 2017, the U.S. Army finally lifted its long-time ban on locs. Men and women in combat are now free to express their natural hair the way they please while fighting for our country — which begs the question, why were they ever not? This woman’s touching story shows just how groundbreaking this moment was for so many people. People have acne, and wrinkles, and laugh lines — but for some reason the signs of going through puberty or getting older are airbrushed on the big screen. Now, we’re seeing a change, with actresses showing up in movies and on TV without heavy coverage makeup, making the plights of the characters and stories they’re portraying a hell of a lot more relatable. Did We Pay More Attention To Melania Trump’s Style Than We Said We Would?